I've always had a fondness for loose eyeshadows. The pigmentation and finish of mineral shadows give superb color pay-off. 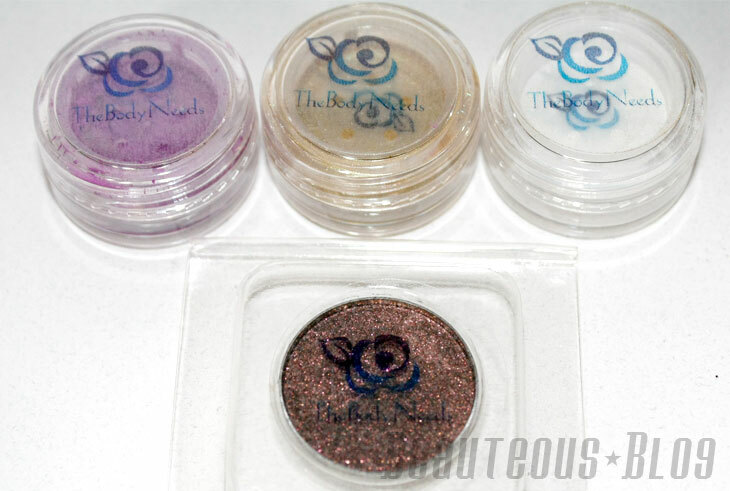 For today's post I will be reviewing some loose eyeshadows from The Body Needs. What's neat about The Body Needs is that they have real MAC shadows and pigments. They constantly update their MAC products with the latest collections. Not only that but they have numerous shade selection for loose shadows, glitter pigments and lip products. Any eyeshadow shade that you are looking for, chance are they will have it. I am always looking for matte shadows to pair up with shimmer ones. With most matte shadows they come off a bit chalky, these have a very smooth texture. 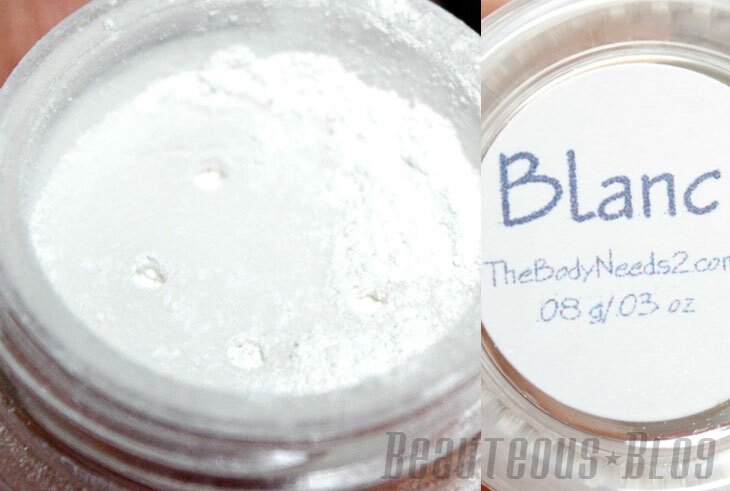 I am in love with Blanc, its richly pigmented matte white which I have been looking for ages! 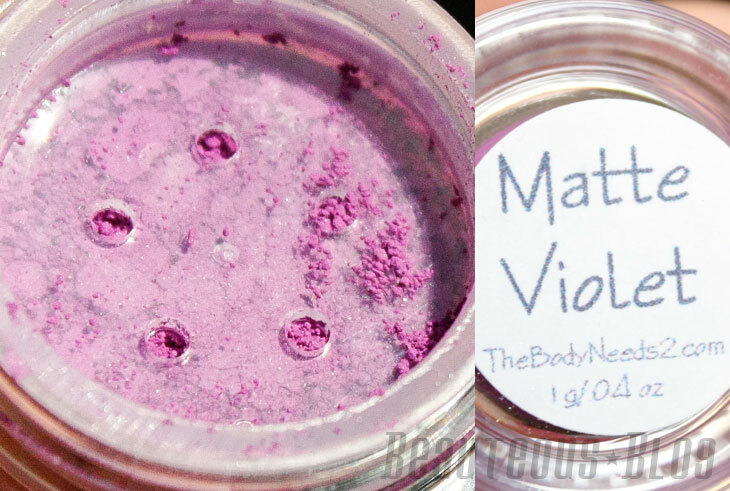 I wanted a dupe for Makeup Forever's #92 eyeshadow, which is a the most gorgeous matte violet shade and I think I found it with Matte Violet. It comes off looking a bit lighter than MUFE's #92 in the pot but I found that if I apply this wet it turns into a slightly deeper shade. 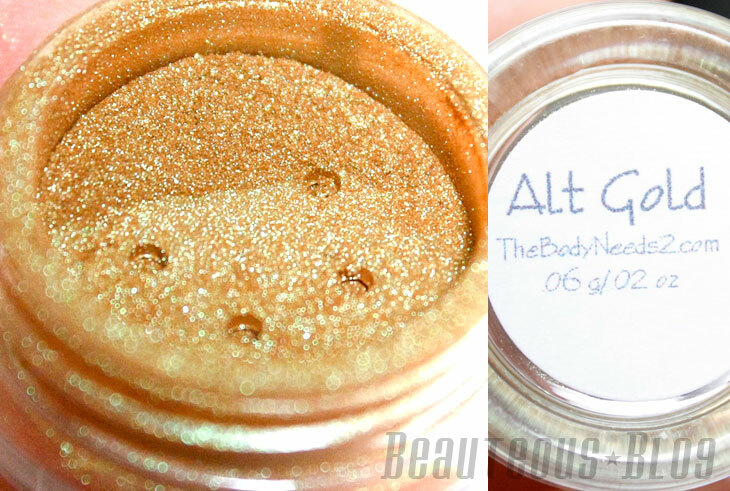 Alt Gold is the most unique shade I have ever seen. Its sad that my camera did not pick up on the gorgeous green reflex in this shadow. I noticed I didn't need to apply this wet to get the best pigmentation, it works amazing on its own! 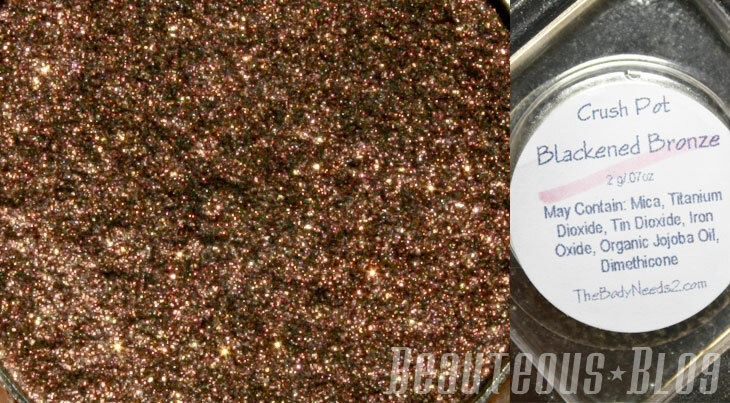 Blackened Bronze is a part of the Blackened Collection which has the most gorgeous shades. I love deep dark colors so the collection is perfect for thoes who like to do intense smokey eyes. This came in a Crush Pot which is a pressed version of the loose shadow. Most of the same shadows come in both versions. Crush Pots are a bit easier for some to use. Use the coupon code SP20 to receive 20% off all TBN brand cosmetics! What did you think of the shadows I picked? Have you tried The Body Needs before? I've tried some of their shades, love the violet one!!! !